Efficiently learn and revise verb conjugations. The verb trainer automatically chooses verbs that need to be revised. 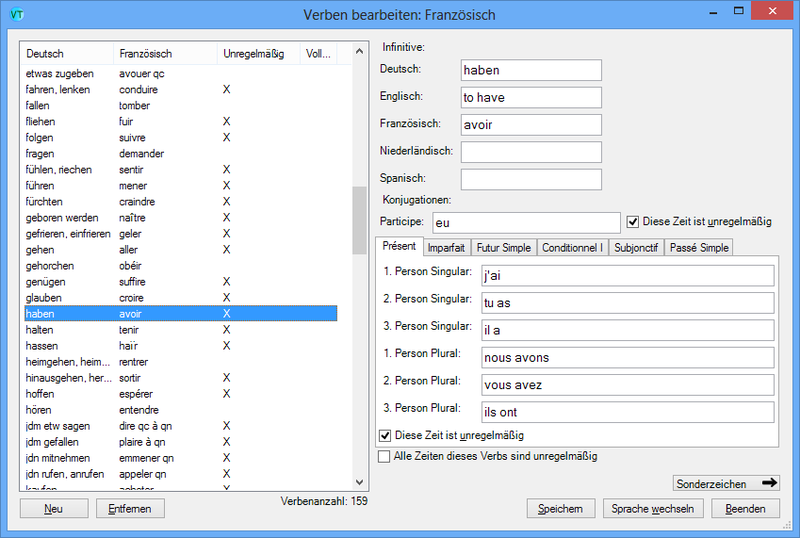 Verbs from different languages are included and custom verbs can be added as well.